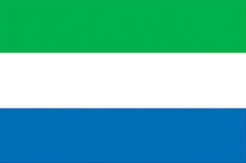 Southern Province is one of 4 primary administrative regions in Sierra Leone with a population of approximately 1,377,067 people. The regional headquarters of Southern Province (Southern Province) is located in the regional capital Bo (Bo) with a population of 174,354 people. The distance as the crow flies from Southern Province's regional capital Bo to Sierra Leone's capital Freetown (Freetown) is approximately 174 km (108 mi). Compare with other regions in Sierra Leone. There are 4 administrative subregions in Southern Province.